White Educators: Do You Recognize State Trooper Encinia? I watched the Sandra Bland dash cam video last night. I knew the grim ending to the story before I even clicked play on my iPhone, but the video hit me all the same. I couldn’t sleep as I replayed the images and sounds in my mind of Sandra Bland speaking up for herself and facing brutal retaliation. But besides the face value horror of the video, I was hit with another sinking feeling in my stomach. It was a sensation of familiarity. Watch the video again. This time replace Sandra Bland with a twelve-year-old girl. Replace the lit cigarette with chewing gum. Replace the car with a desk. Replace the state trooper with a teacher. One of the most sickening aspects of the video was the way it brought into clear focus what police brutality (as a mechanism of racism) is really about: the maintenance of power. 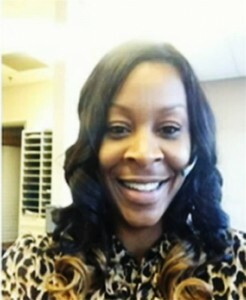 Sandra Bland chose to exercise her rights within her own car and refused to subjugate herself to the power and authority of State Trooper Brian Encinia… and it enraged him. His response was to threaten her and assault her until he felt his power was reasserted. Does this situation sound familiar? Have you ever seen a colleague lose their cool in the hallway? Or heard a booming yell through the thin school walls? “I am a teacher and you are a student! I am an adult and you are a child!” Click To TweetOf course all adults will lose their tempers from time to time. It’s a part of being human. Teachers aren’t exempt from fallibility. But there’s something more at play than just kids mouthing off and adults “raising their voice,” something different and more nefarious. When we examine the role of race in our interactions with students we must acknowledge the role of power. White teachers working in schools with majority Black and/or Latino students must open our eyes to the power dynamic that’s more than just teacher/student, but also white/non-white and state/citizen. Let’s return to the revised Sandra Bland scenario once more. It’s independent work time in your classroom and everyone is supposed to be working silently. You notice Sandra whispering to her neighbor and so you move towards her. Your student is talking back, and now your power is challenged. Meanwhile layer on to this an impulse to tone police as your student’s use of African American Vernacular English presents another subconscious challenge to the dominant culture of your classroom. How do you respond? White people generally, and white educators specifically, need to recognize that ending racism doesn’t end with stopping police brutality. Rather we need to take a hard look in the mirror at our own privilege and our own practices. We can’t pretend that we don’t wield the “master’s tools” with just as much deftness and deadliness as police officers. It’s called the school-to-prison pipeline. Many “no excuses” charter schools are the most extreme examples of schools that reinforce that existing racialized power dynamic by valuing silence, compliance and respectable behavior over respect for the home life and culture of students and their families. “Work hard. Be Nice.” is not a slogan for ending racial injustice. But I would be dishonest if I pretended that the KIPPs, Success Academies, and Democracy Preps of America are the only offenders. The vast majority of teachers work in traditional public schools. 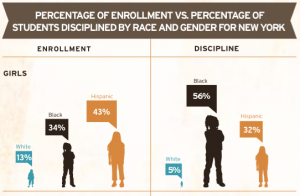 In a report just this Spring, researchers found in the study, “Black Girls Matter: Pushed Out, Overpoliced and Underprotected” that “Girls of color also face specific factors that push them out of school, like sexual assault, criminalization and teacher stereotyping, yet girls are often excluded from current efforts to address the school-to-prison pipeline.” This is a problem we must face honestly. Returning to our situation with young Sandra one last time, let’s think about how it ends. Maybe it escalates into a shouting match? After she slams her desk down do you send her to the Dean’s office where she’ll face an in-school suspension? And what happens on the day she returns? What lessons has she learned about who has the power in your classroom, your school and the world, and who does not? Whose voice matters and whose does not? Is this an ending we’re okay with? If not, what will we do to rewrite the story. Awesome article with a very conscious and engaging testament to the social inequalities of our education system. Many thanks! !